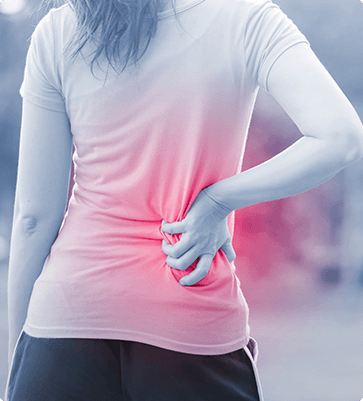 Do you have injury pain that's lasted more than six months and just won't go away? Does it seem out of proportion to the injury it began with? You may have complex regional pain syndrome (CRPS). Although rare, CRPS can be debilitating and lead to chronic pain that lasts a lifetime. Considered a malfunctioning of the nervous system (which includes the brain, spinal cord and peripheral nerves), it typically causes chronic pain in the limbs (arms, legs, hands, or feet) and sometimes the back. Additional symptoms of CRPS include excessive pain in response to cold, pain greater than the injury can explain, muscle contractions, pins-and-needles sensations, or tingling and burning. CRPS typically follows an injury or trauma such as a heart attack, stroke, or surgery and is believed to involve nerve dysfunction or inflammation. It is also referred to as reflex sympathy dystrophy (RSD) because the sympathetic nerves are affected – the nerves responsible for readying the body for a fight-or-flight response triggered by a perceived threat. In patients with CRPS, the sympathetic nerves are triggered without an apparent cause. At Louisiana Pain Care, our interventional pain management specialists have experience in identifying and treating CRPS. While there is no cure for CRPS, early detection and treatment may halt progression of the condition and lessen a patient’s symptoms. Surgery is rarely indicated, although it may help if nerve injury or compression involved. If you think you may have complex regional pain syndrome, let our experienced pain management specialists help you get to the bottom of what is ailing you – and come up with a plan to treat it. Call the experts at Louisiana Pain Care in Monroe or Ruston at (318) 323-6405 today or use our online appointment request form.